Living in a golf cart community means that we get lots of people who move here and become golf cart owners for the first time. Getting around on shaded tree lined paths that take riders over streams and past beautiful lakes is a great benefit of living here. However, in order for the golf cart to continue to perform, a little bit of maintenance is required. 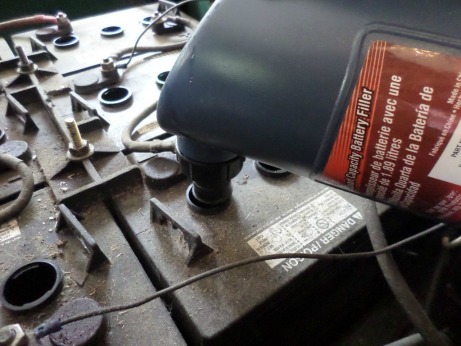 Understanding how golf cart batteries work is probably the most important thing to know. 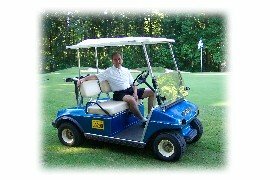 Golf cart batteries are very different from car batteries - they are a lead acid battery. The battery is always in one of these two conditions - either it is charging or it is discharging. The voltage that powers your golf cart is the result of a chemical reaction. The important players are the lead plates and the solution of sulfuric acid. The number one cause of golf cart batteries dying prematurely is lack of water. However, it is not as simple as just pouring some water into the caps.